I didn’t see a dedicated thread specifically calling out corporate social media fascists so I thought I’d start this one. It seemed the most appropriate place for it under the Flat Earth Shill, Trolls and Controlled Opposition category. Since in this so-called "modern era," we now have sundry modern-day corporate goyim hunters busying themselves with the task of hiring/training teams of Thought Police for the sole purpose of scouring their platforms looking for recalcitrant goyim to persecute and silence, while developing algorithms deceitfully manipulating/minimizing exposure to what they define as "offending content" on their servers, it seems appropriate that we have a thread dedicated in some part to the most recognizable face of CORPORATE FASCISM, i.e., GOOGLE/YOUTUBE—but with plenty of room for the lesser corporate thugs who model themselves after one another to varying degrees (even going so far as to conspire together to consign to the dustbin, in a coordinated move, certain targets they find especially grievous to their fascist selves), while gaining increasing boldness as they go about weaponizing their various "terms of service" to give them plausible deniability while attacking/silencing anybody who dares speak regards the JEW MACHINATIONS over government, media, banking, internet social platforms, etc. (for example, think 9/11, Chertoff scanners, TSA, and why you now HATE going to the airport—the Hegelian dialectic scam now being worked on us by enemies domestic, and perpetrated against us in the form of an urban renewal project in which to force upon us, besides the never-ending war on "terror," but to also cause us to relinquish freedom of speech in favor of the slavery of self-governed limited speech they desire we be subjected to). Or as Rahm Emanuel (cough, cough) said, "You never let a serious crisis go to waste." In other words, every CORPORATE THUG weaponizes the very subjective and undefined "HATE SPEECH" as the VERY BROAD BRUSH STROKE with which to paint their CENSORSHIP POGROMS against the goyim cattle they so very much despise. For how can you have a thread focusing on CORPORATE FASCISM without understanding and highlighting that, as with so many things today, and as a growth of that special power wielded since at least WWI, that we not also have an understanding of how the Professional Persecuted Class (PPC) incants the "SIX MILLION" over our lives ON A DAILY BASIS as they go about manipulating us into an innate trepidation of discussing such things lest we be struck by that bolt of lightning from their war god, "anti-semitic." Some might contend that Facebook or Twitter may be better representative of CORPORATE FASCISM, and while you might make that case, I don't have an account with either of those CORPORATE THUG ENTITIES so I choose to highlight this thread's title with "GOOGLE/YOUTUBE" as one of the more, if not most, recognizable representative of the problem. Certainly there are lesser known offenders in the modern-day social platform providers, and because of the manifestation of their sundry disgusting actions, they are all welcomed for consideration for the excoriation they so richly deserve. For example, I recently had an account deleted on VIMEO for having had the audacity to have a couple videos posted on it which served the purpose of exposing the Toxic Twins for the liars they are. When trying to save the account from deletion, and asking VIMEO to specify the offending content so I could save the rest of the non-offending content—and you know where this is going—they simply refused to answer and deleted the account anyway. I had that little account for years and it was nothing more than an archival repository for little bits of this and that, primarily for my own eyes. Gone. But I know absolutely what got it deleted. And the social platform was all too willing to choose a side without any justification for their actions. The vision for this thread is to expose and hold forth the disgusting tactics used by those internet entities who disdain free speech as it manifests itself in their structured attack on the very speech that should be esteemed so highly by every individual in this Constitutional Republic and throughout the Earth—seeing that the whole Earth itself should most certainly be bathed in basic Common Law that all men are entitled to. We all know what murder is, for example. Google— hands out, palms up groveling for government subsidies. This new Topic will replace the old one called "The Jew World Order", which this forum provider deleted without notice and without justification. Has anybody noticed One American News (OAN) promoting the story that Hitler left the stadium early in disrespect to Jesse Owens? Of all the things OAN could focus on in their 'public service promos' is there a reason they are pushing the Owens disrespected fib, and other WWII false narratives? How about the other little segments wherein they disparage Hitler and the German people? Will the Professional Persecuted Class (PPC) ever tire of whining about Hitler?! Thankfully it's coming to the point in time where there won't be any more really evil soldiers, etc., they can prosecute in their kangaroo courts. Unless they start exhuming bodies to prosecute, hang, and rebury. Bruce Littman, Executive Vice President of Content Distribution. Littman Name Meaning - Jewish (eastern Ashkenazic): from the Yiddish male personal name Litman, a variant of Lipman. Possibly also English, a variant of Lightman. An inconvenient truth (from the same above link): "... a veteran sports reporter in Germany has come forward to claim that, though Hitler did indeed leave the stadium after the race, it was not before shaking Owens' hand. Siegfried Mischner, 83, claims that Owens carried around a photograph in his wallet of the Fuehrer doing just that. Owens, who felt the newspapers of the day reported 'unfairly' on Hitler's attitude towards him, tried to get Mischner and his journalist colleagues to change the accepted version of history in the 1960s. Schpankme wrote: This new Topic will replace the old one called "The Jew World Order", which this forum provider deleted without notice and without justification. So much for the maxim "I may not agree with what you say, but I'll defend to the death your right to say it." Any forum provider guilty of such action is nothing more than indoctrinated nanny-state speech police. Imagine that; the one thread that assaulted their dainty sensibilities, causing them to consign it to the memory drain, just happened to be titled "The Jew World Order." Rhetorical question for the speech police reading this comment: Would your removal of one thread in this forum not be considered contractual malfeasance? Since space on the server is paid for, it's like the landlord going into the rental and removing the one item in the house he doesn't think the tenant should have, while having no conscience bothering him about his blatant theft. They say psychopaths have no conscience. [Edit] I see it's a free forum? Regardless, doesn't change my mind one iota regarding those who, without any justification whatsoever, take it upon themselves to be speech police choosing sides in words over factual occurrences, and ripping apart that which they lack the moral superiority justifying their petty actions. "NY Times: The Horrors of Auschwitz at a Museum in New York"
From the above link: With these artifacts and 700 others, the Museum of Jewish Heritage is set to bring Auschwitz to New York this spring [oh wonderful; yet another museum exhibit as though we haven't been browbeat with enough of them already], a major undertaking that will mean ripping out the museum’s permanent collection for an exhibition designed to provide a vivid sense of the Nazi death camp where 1.1 million people were killed, a million of them Jews." I promise I will try to refrain making this a Mike King thread, as far as my own participation goes, but if you want the scholarly research on the Jew Whining Problem, Mike's your guy. And perhaps once the thin-skinned Forumotion folks decide they don't like the words in this thread and delete it, we should consider naming the new one to replace it, "Mike King Destroys WWII Mythological Tall Tales"
I don't believe Mike is a flat earther, yet. But he's one of the guys I'm going to read no matter what else I read any given day. 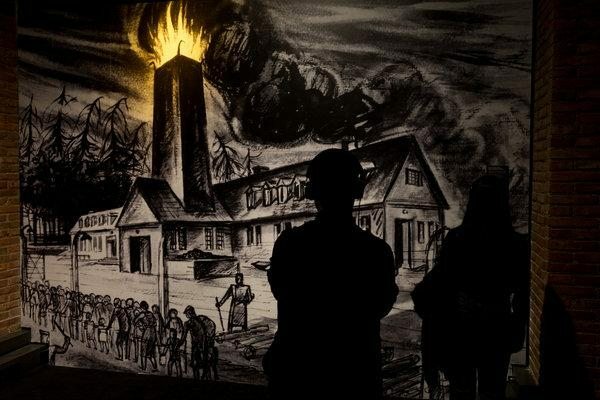 "...a work by David Olère, a survivor who recreated a crematory there from memory." 1) Dark, dark, foreboding rendering, with only the brightness of the flames consuming the material below. This guy is the antithesis of the Painter of Light, Thomas Kinkade. And no doubt like Kinkade, he'll sell you a print if you pony up the shekels. 2) Flames belching. Porous grates in the furnace allow for the fat of Jews to flow into a container for the manufacture of soap. Of course some were first skinned for those fine lampshades put on display by the "allies," who really had no reason to tell the bodacious soap and lampshades lie. 3) Coal bin handily positioned in case the fire needs to be stoked. 4) Jews lined up to be next. Notice bent over backs as they trudge along to their certain (in the tale) deaths. 5) Little children depicted in the line of victims. 6) Notice the trees, left and right of the chimney, bowing in sorrow (or, another possible explanation, just a trick to help the eye focus on the belching flames). 7) Commandant with his back to us. We imagine a most maniacal smile creasing his face as he watches the procession with glee as his nostrils fill with the sweet savor of burning meat. 8 ) Evil soldier, standing erect, tall, big, while the little hunched over deserving Jews pass, as he proudly oversees the little children being led to the flames. You do know those evil German soldiers took pleasure in running the babies through with bayonets, right? [Edit] Don't do an "8" with a ")" immediately following. It causes a smiley face. YouTube to begin new stricter guidelines to crack down on conspiracy theorist. ""Borderline content" includes videos featuring fake miracle cures for serious diseases, claiming the earth is flat and making blatantly false claims about historic events such as 9/11, according to the company. It did not provide further examples. Such content doesn't violate YouTube's community guidelines, but the company says it comes close." This isn't anything we didn't know that they were doing but just more evidence of the gradual crackdown to have it not appear so alarming. Lightning_Peasant wrote: YouTube to begin new stricter guidelines to crack down on conspiracy theorist. ""Borderline content" ...miracle cures...earth is flat...9/11. Such content doesn't violate...but...comes close." "We think [being fascist corporate thugs,] this change strikes a balance between maintaining a platform for free speech [no, it doesnt, and laughable that they have the audacity to claim YouTube a bastion of free speech,] and living up to our responsibility to users [no, it doesn't]," the company said. "Miracle cure," of the big bad three, is the most ridiculous to even mention, unless "miracle cure" is them saying that anybody who shares videos warning folks to avoid vaccinations like the plague so your children aren't poisoned and given autism, is their stealth target. The BIG TWO in the list are of course FLAT EARTH and 9/11. Those two are major annoyances to the Masters in their seek and destroy mission against goyim cattle. Larry Silverstein-Let's-Pull-It (cough, cough). Quite fortuitously, WTC7 just happened to be pre-rigged for such an occasion. And I'm not saying anything more than that Controlled Demolition Incorporated (CDI) was awarded a cleanup contract. Don't infer I'm accusing CDI of bringing WTC7 down just because it looked like every other controlled demolition of large buildings they've done. [Edit] I would ask "what steel"? The rubble piles of the 110 story Twin Towers were smaller than the 47 story WTC7. If you haven't, read Where Did the Towers Go, Judy Wood. The intro alone is worth the price of the book. 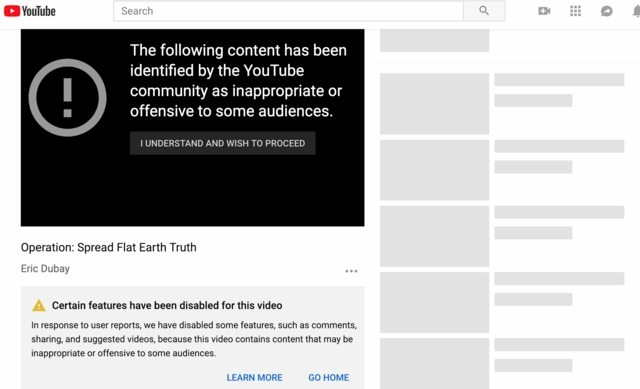 Why the YouTube censorship, lets source their connection to the information age? 1543 - Holy Roman Empire publishes book titled, "On the Revolution of the Heavenly Spheres", where a stationary, unmovable Earth; as stated in their Bible scriptures, was replaced by a spinning, orbiting, Spaceball; as taught in the major Universities, where faith (pretend) was replaced by theory (pretend). 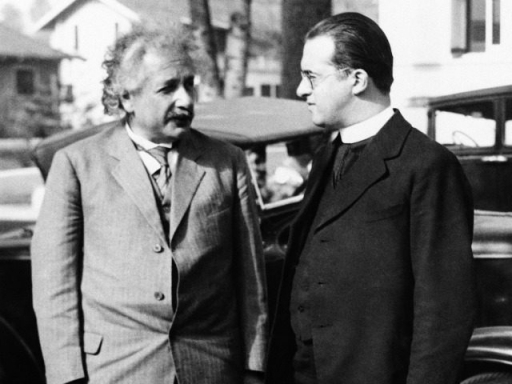 2017 - The Vatican Observatory is celebrating the Big-Bang Theory and Faith-Science by inviting leading scientists and cosmologists to talk black holes, gravitational waves and space-time singularities as it honors the late Jesuit cosmologist considered one of the fathers of the idea, that the universe began with a gigantic explosion. What we see, is that the Big Bang (theory) was to compliment the Judaeo-Christian notion of Creation (faith), making these constructs fully compatible with both Atheist and Theist's understanding of the origins of the universe. Veganism is now classified as Miracle Cures, anti-domesticated meat speech is called Veganism. "Antarctica 24 hour sun Updated WARNING: The word S#!T is used." REAL "Midnight Sun in Longyearbyen, Svalbard, Norway"
HIS FRAUD, AND ACCOUNT, RESIDE SAFELY ON YOUTUBE. I'M BANNED. Had it for many years. markwilson wrote: Had it for many years. Thanks for that. It hurts a bit, only because it was the first account I ever opened with Google/YouTube, but more so because the guy I was showing to be a fraud keeps his stuff untouched even though guilty of the "deceptive content" YouTube claims they're guardians against! 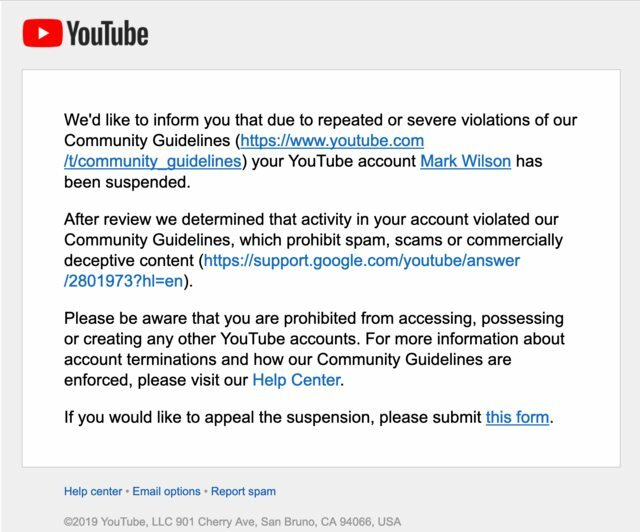 "We'd like to inform you that due to FRAUD, a violation of our Community Guidelines, your YouTube account, Anthony Powell, has been suspended. After review we determined that activity in your account violated our Community Guidlines which prohibits deceptive content. We don't like liars on our platform. Fraud is wrongful or criminal deception intended to result in financial or personal gain. 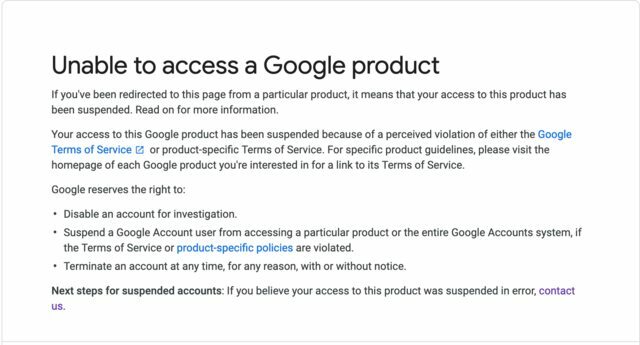 The JEWZ at Google are now applying legalese to their theoretical, Spaceball deception.